If missing teeth are making you feel self-conscious and embarrassed to share your smile, dental implants can restore the appearance and functionality of your teeth and provide long-lasting, natural-looking results. If you’ve been searching for the best dental implants in Fremont, Montane Dental Care can help. Call our office today at 510-795-0444 to schedule a free consultation with experienced implant dentist Dr. Jorge Montane. We proudly serve the communities of Newark, Union City and surrounding areas. Dental implants are the most effective tooth replacement solutions available. Implants can be used to replace a single tooth or several teeth. They can also be used to serve as anchors to support a full denture. Dental implants are superior to other tooth replacements options because of how they work. Rather than simply concealing a gap in your smile, the implant actually replaces the tooth’s root. Secured in the bone beneath your gums, the implant supports a lifelike porcelain crown above the gums. Once they have been placed in the jaw, they fuse with bone, forming a strong durable bond. Longevity: Although results can vary, with proper care, your dental implants can last for decades. Convenience: Dental implants can be cared for in the same way you care for your natural teeth, meaning that you don’t have to add any extra steps to your daily oral hygiene routine. Comfort: Dental implants don’t just look completely natural, they feel that way, too. You can speak, chew and eat comfortably. No need to alter neighboring teeth: Unlike other tooth replacement methods such as dental bridges, your adjacent teeth don’t need to be altered in any way for the dental implant process. Bone preservation: When a tooth is lost, the area of jawbone where the tooth is missing gradually diminishes in the resorption process. When Dr. Montane inserts an artificial titanium root, it essentially tricks your body into believing a real tooth is present, which causes it to preserve bone. Beautiful, natural-looking results: Not only will your tooth-replacement look beautiful and completely natural, your overall facial appearance will be improved by preventing bone loss. The implant is surgically placed in your jaw. Time is allowed for your jaw to fuse with the implant is a process known as osseointegration. This can take at least four months or more. The implant is successfully fused to your jaw. A temporary crown is placed onto your implant. The temporary implant is removed and your permanent, porcelain crown is placed. Your porcelain crown will be custom-crafted to fit perfectly in place and match the color of your adjacent teeth and blend seamlessly with your smile. Your results may vary, but if you have adequate bone density and no extenuating circumstances, the implant process takes at least four months. In some cases, the procedure can last up to a year. The good news is that no matter how long your implant procedure takes, your final result will be a strong, healthy and gorgeous smile that will last for decades to come. Dr. Montane is frequently asked this question by his patients who are considering tooth implants. Many of our patients are busy people who can’t afford to miss time away from work or their families to recover from implant surgery. The necessity of a bone graft: If your jawbone lacks sufficient density to support a titanium, post, requiring a bone graft, your implant process – and recovery time – are increased. The number of implants: When multiple implants are placed at once, you will undergo a more extensive recovery. This also means that if you only have one implant placed and do not require a bone graft, your recovery will not be as extensive. Some patients are able to return to their work and regular routine immediately following their procedure. However, it usually takes most patients a day or two to recover. It’s usually a good idea to request some time off from work to ensure you can rest and recover properly. Expect to see your temperature rise a few degrees. Expect some discomfort as the anesthesia wears off; over-the-counter painkillers can help during this time. Expect to possibly see some swelling and bleeding around the implant area. This is entirely normal and does not mean there is anything wrong. 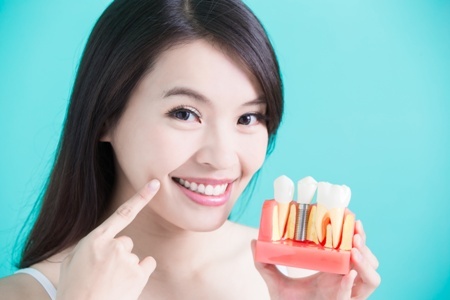 If you lack adequate bone density, have gum disease or smoke, you are necessarily disqualified from receiving implant therapy for your missing tooth. However, it may mean that you will need to address these issues before continuing with the implant process. For example, if you have gum disease, you will need to have it treated by Dr. Montane through our general dentistry services. If you smoke, you must quit. If you have insufficient bone density, you may need to undergo bone grafting to supplement the amount of jawbone necessary for an implant. The best way to find out if dental implants are right for you is to schedule a personal consultation with Dr. Montane. During your consultation, Dr. Montane will examine your teeth, evaluate your dental health and determine if implants are the right solution for you to achieve a fully functional, fully restored, beautiful smile. If you lack sufficient bone density for a dental implant, Dr. Montane may recommend a bone graft to build up the area in which your implant will be placed. The procedure typically involves adding (grafting) bone or a bone-like material to the jaw. After a bone graft, it will take several months for the grafting material to fuse with your existing bone. Hide your smile no more! Ask about dental implants today. Anyone who has worn dentures before is likely very aware of their shortcomings. Dentures can shift, agitate the gums, require adhesives and impose food restrictions. Of course, even with their imperfections, dentures can still be a practical solution for some of our patients with significant tooth-loss. On the other hand, implant-supported dentures offer a more comprehensive and durable way to restore your smile’s appearance and functionality if you are missing several or all of your teeth. Not everyone is an ideal candidate for teeth implants, but Dr. Montane is always committed to finding a solution to your dental needs that meets your goals and budget. During your free initial consultation, Dr. Montane will closely examine your situation, carefully explain all of your treatment options and recommend a solution that is best for you. Ultimately, the decision is always yours. You will never feel pressured or rushed into a decision. Over the last 15 years, sinus lifts have become more and more common as greater numbers of people turn to dental implants to replace teeth. Dr. Montane will discuss this procedure with you if he believes it is necessary for your procedure. The cost of dental implants varies for each patient, depending on how many implants are needed and what preparation, such as bone grafting, is necessary. At Montane Dental Care, we believe that money should never stand in the way of you getting the dental treatment you need. We offer a variety of payment and financing options to help make your dental care accessible and affordable. The best way to find out what your dental implant procedure will cost is to schedule a free consultation with our implant dentist, Dr. Jorge Montane. During your consultation, he will discuss all of your treatment options with you and provide you with a cost estimate. 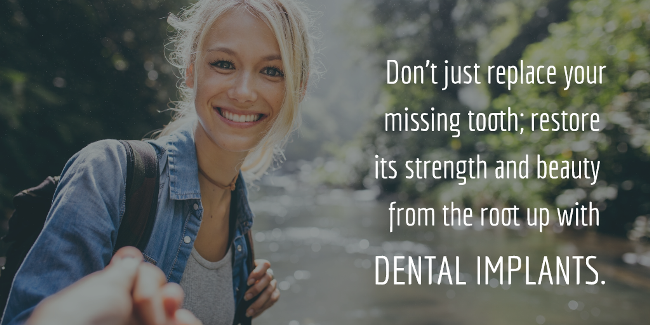 Missing teeth can hurt more than just your confidence; they can have a negative impact on your oral health and overall well-being. Schedule your free dental implant consultation today by completing the form on this page or calling 510-795-0444. We happily welcome patients from Fremont, Newark and Union City.